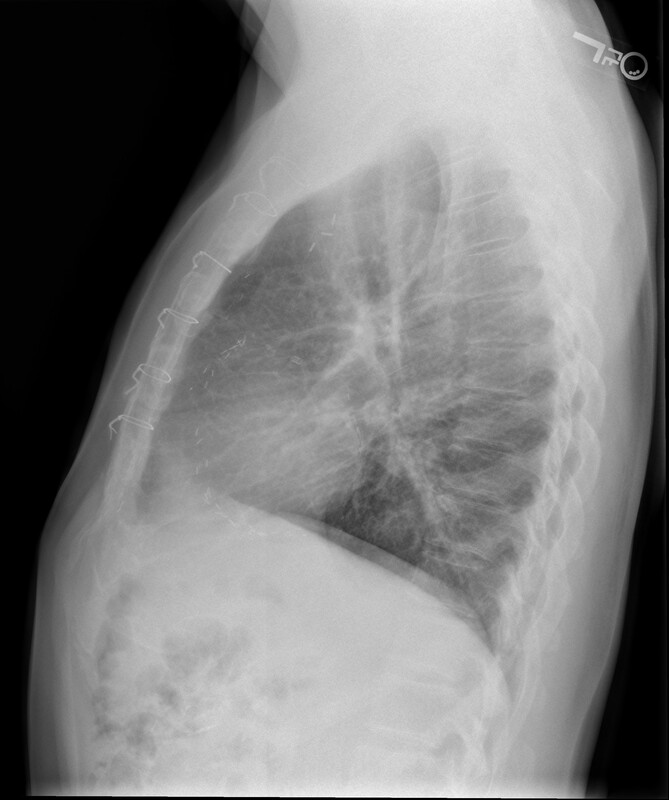 History: 67 year old male with cough. Lateral chest radiograph in a male patient with a history of CABG with LIMA. The sternotomy wires and vascular clips are visualized. This is the typical location of vascular clips seen in a patient who has undergone coronary artery bypass graft surgery with the left internal mammary artery. A nice paper on this surgery from 1977 is located here.